Demand for medical imaging in B.C. has never been greater. 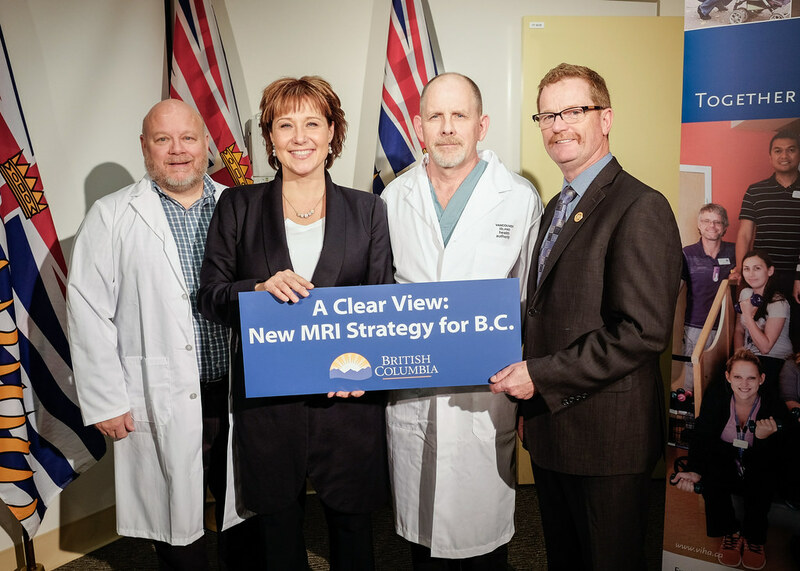 Premier Christy Clark and Health Minister Terry Lake today announced a new four-year strategy for magnetic resonance imaging (MRI) services to help health authorities increase patient access to MRI scans. The MRI strategy takes a two-pronged approach. The first priority is to increase the number of scans—adding up to 65,000 more annually by the end of four years to help address increasing demand and existing wait lists. The ministry and health authorities will also review the governance, service delivery and funding models for MRIs, to ensure an accessible, sustainable medical imaging system. Health authorities are currently finalizing plans for increasing their MRI volumes, including how quickly increases can be put in place. Health authorities have committed to increase the number of MRI exams performed annually by 45% by year four of the strategy. Budget allocations for MRIs will increase correspondingly, providing up to an additional $20 million in annual funding for these services by year four. Health authorities will also be developing plans for improving timeliness, ensuring appropriate referrals for service and increasing geographic access to MRIs in the future. MRI scan volumes will be increased by extending operating hours for MRI machines, so more patients can be served each day. This means that some patients will be scheduled to receive their scans during evening or night-time hours. Health authorities may also contract private facilities to perform additional procedures. 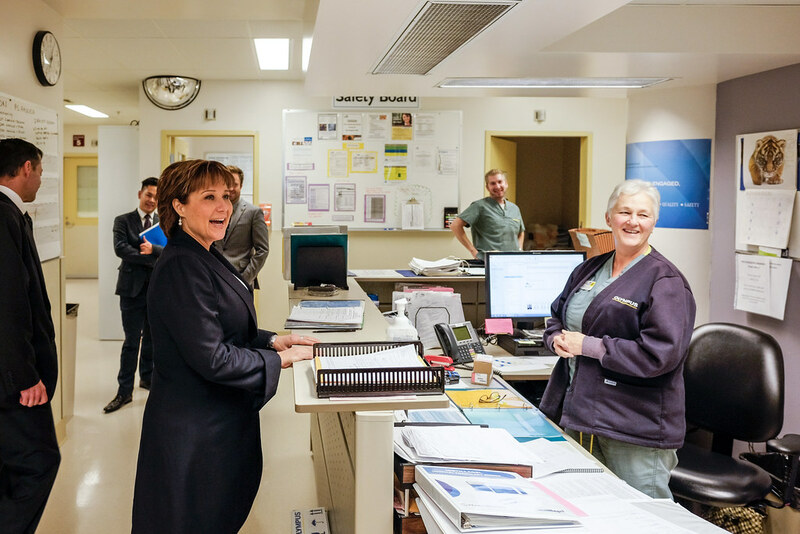 British Columbia’s strong economic growth and fiscal discipline have enabled government to return a dividend to British Columbians by investing to further improve patient access throughout B.C. Over the past decade, B.C. has acquired 16 new MRI scanners for hospitals, for a total of 25 – a 178% increase. This has helped B.C. significantly increase the number of MRIs done in the public system over the past 10 years from 67,030 in 2004-05 to over 143,000 in 2014-15. Health authorities will also provide more evidence-based guidance to physicians to ensure they order the best type of scan to meet each patient’s specific medical needs. MRI scans are important diagnostic tools; however different types of medical imaging can be used to diagnose certain conditions. In some cases, an x-ray, ultrasound, Computed tomography (CT) or Positron Emission Tomography (PET) scan may be more appropriate. 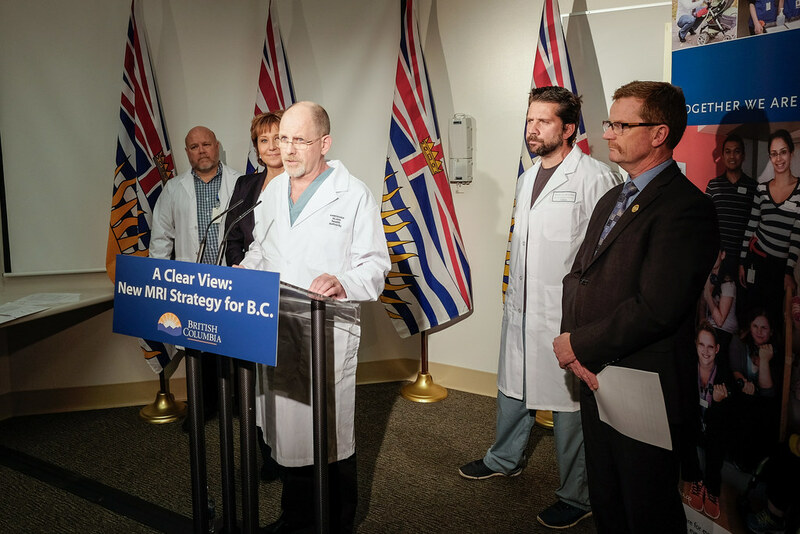 Ensuring the right advanced imaging service is provided to British Columbians in a timely fashion will help manage wait lists and provide for smarter, more effective service at the patient level. Today’s announcement supports government’s priority of timely and appropriate access to needed health services through a truly integrated health care system that works for patients. Magnetic resonance imaging (MRI) is a safe and painless test that uses a magnetic field and radio waves to produce detailed pictures of the body’s organs and structures. MRIs are used to diagnose a number of medical conditions, including abnormalities of the brain, as well as tumours, cysts and soft-tissue injuries in other parts of the body.